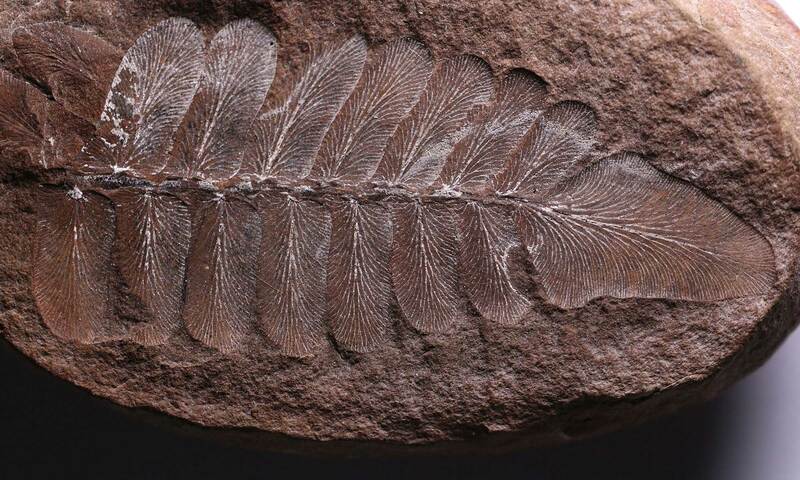 The Stratigraphic Collection contains thousands of marine, freshwater, and terrestrial fossils from the Cambrian Period to the Pleistocene epoch (541 million to 11,700 years ago). 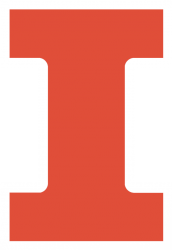 Visit ILSTRAT, the online handbook of Illinois stratigraphy, for more geologic information on each stratigraphic unit. 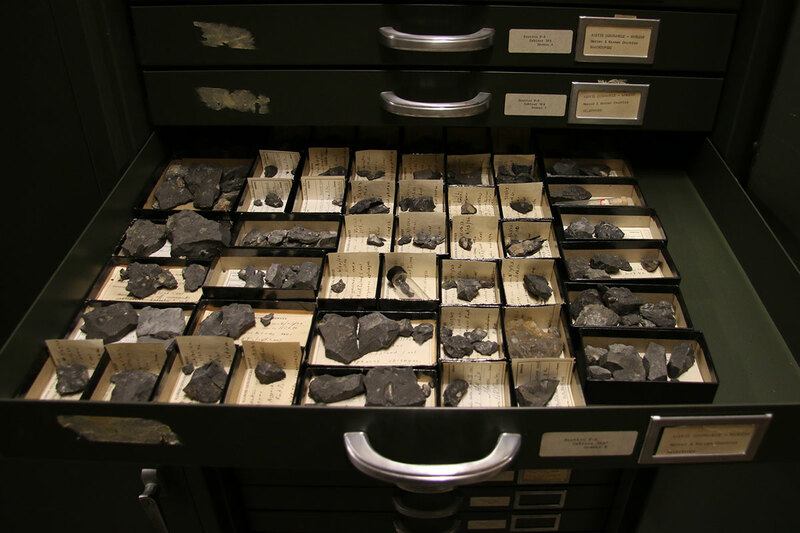 The Stratigraphic Collection includes two historically and scientifically significant sub-collections—the Harold Wanless Collection and the J.M. Weller Collection. Harold Wanless (1898–1970) was a University of Illinois professor and researcher from 1923 to 1967, and J.M. Weller (1899–1976) was a paleontologist at the Illinois State Geological Survey (ISGS) from 1925 to 1945. Together, Wanless and Weller introduced the term cyclothem in 1930. Derived from the Greek “oyclos,” or cycle, and “thema,” a deposit, the term described the succession of sedimentary rock layers found in coal-bearing formations. The understanding of cyclothems remains an indispensable tool for predicting the location of coal deposits and for defining the processes by which sea levels change. The material collected by Wanless and Weller during their time at University of Illinois and ISGS, respectively, is now housed by the PRI. 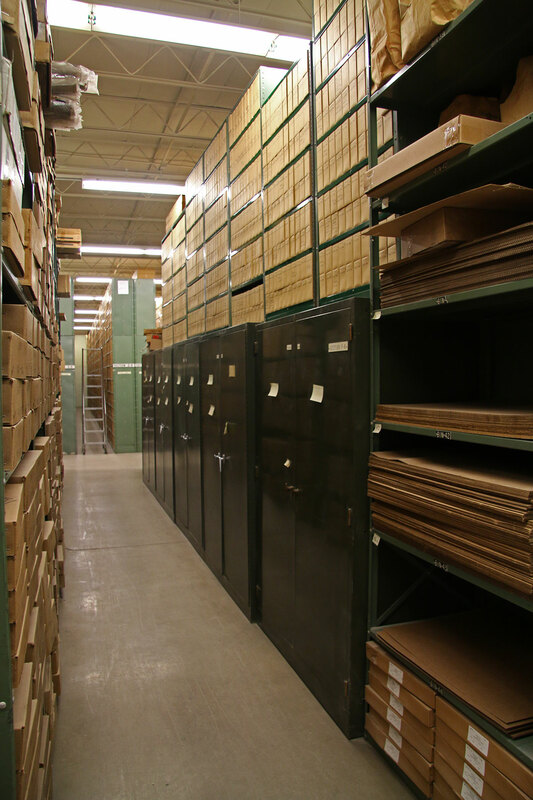 Stored in several cabinets each, the Harold Wanless Collection contains an unknown number of specimens (likely > 2,000), while the J. M. Weller Collection includes approximately several thousand specimens. Drawers of specimens from the Harold Wanless Collection.